The Conversion Pros Review - Legitimate or Scam?!? The Conversion Pros Review – Legitimate or Scam?!? The Conversion Pros Review – What is The Conversion Pros all about? Is The Conversion Pros Scam or Legitimate? Read this honest review now! Overview: The Conversion Pros is an Affiliate Marketing Tools and Training Membership Site owned by David Dubbs. This Membership Site contains all the tools that you need for Affiliate Marketing or MLM Marketing all in one place. Are the tools really useful and worth the membership fee? The Conversion Pros Review – What is it all about? I got to know about The Conversion Pros from a click exchange site and was intrigued by its promises of guaranteed lead packages. As an Affiliate Marketer myself, I am naturally curious to find out how this works and thus begin my research review on The Conversion Pros. Would it be another “Traffic Ad Pays” type of company where they sell you Ad Packs you could earn money back from the profit sharing? Let’s take a look at short presentation video. The Conversion Pros Review – All in one toolbox. After watching the video, at least now I understand that The Conversion Pros is not about purchasing Ad packs and earn revenues, but it has a suite of tools that help you get Traffics and Opt-Ins. There 12 main tools at The Conversion Pros Membership Site. There are introduction videos for each of the tools below available on the YouTube. You can click on the each link to find out more. Some of these tools are really useful for Affiliate Marketers such as Capture Page Creator and Email Auto-Responder. Let’s take a look at the overview webinar video explained to you personally by David. The Conversion Pros Review – How much does it cost? David Dubbs offers a 7 days trial for $1. If you stay after 7 days, you will be billed $50 monthly thereafter. The Conversion Pros has a 30 days refund policy as stated on its website. Please go to The Conversion Pros website and scroll all the way down to read more details on the refund policy. Do not forget to go through the Terms of Service (TOS) too. The Conversion Pros Review – Can you make money with it? Yes, you can make money as an Affiliate of The Conversion Pros. There are 3 levels of payment. You get paid $20 for your direct referrals, $3 for your 2nd level referrals, and $2 for your 3rd level referrals. A total of $25. That’s how they calculate 50% Commission. The payout for your affiliate commission is weekly, every Friday. The Conversion Pros Review – My Personal Take. The Conversion Pros has a full suite of tools that are very useful for Affiliate or MLM Marketers. The tools are professionally built and very simple to use. New tools are added every month too. Moreover, The Conversion Pros also provides solid step-by-step training for new budding Internet Marketers who wants to learn how to make money Online. However, I have some concerns as follow. #1 There is No Guarantee. David “Guaranteed” that you’ll get your leads and traffic with their lead packages. I found that it is misleading and I could not find any information on the lead packages other than options to purchase leads. What is the demographics of the leads? Can they fit into any kind of niches? Are these quality leads that will become your customers? These are some questions in my mind. If you want to buy the lead packages and try for yourself, I would recommend to test it first with the cheapest one. To use the suite of tools for $50 a month could be a quite high for a new budding Online Entrepreneurs. Considering you have to spend money on hosting and domain names too. For new budding Online Entrepreneurs, I would recommend use the essential free tools that are available first. 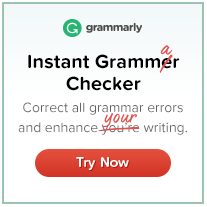 Email Auto-Responder: Mail Chimp offers free for first 2000 subscribers. Blog Creator: SiteRubix offers 2 free WordPress built websites. Tiny URL Creator: bitly.com or tinyurl.com is free. Mobile Website Creator: You can just choose a WordPress theme that is responsive. A responsive theme will adapt to the devices that load the website. Thus, you do not need a mobile website creator separately. QR Code Generator: You can generate free QR Code for free at qr-code-generator.com. Personally, I feel that some of the tools are not really that useful. Auto Voice Message Dialer: This tool will automatically send voice messages to your leads until someone picks up. Just imagine, you are one of the leads and you are in an important meeting. Wouldn’t it be a nuisance and you wished you never gave your number to this guy? Text Messages (SMS): Can the text messages be sent globally? Very seldom I would want to give out my numbers to a stranger and let them spam my phone. Wouldn’t you too? I was like anyone new when I was looking for the best Internet Marketing Training to learn about building an Online Business. Fortunately, I met Kyle and I started my Affiliate Marketing business in 2014 and never looked back since. Wealthy Affiliate is where I learned how to build a Successful Online Affiliate Marketing Business right from the fundamentals. It also has an Open Education Project Community with 10,000s of active members where questions get answered within hours, sometimes minutes! You can even build your first Affiliate Marketing Business with FREE* Starter Membership in the next few minutes! I rated The Conversion Pros 3.0 stars because David has set up a very good site with tools that could be very useful for experienced Internet / MLM Marketers. The monthly membership fee is definitely not affordable for many to start with considering there are other web hosting related costs. Moreover, some of the tools are readily available Online for free! It would be great if David could consider to lowering his membership fee so that new Online Entrepreneurs can have a better head start in their business. 5 Day Fix Review – Legitimate or Scam?!? Really? Lead Lightning Review – Legitimate or Scam?!? ← Easy 1Up Review – Legitimate or Scam?!? Shocking! Great review of the Conversion Pros Edmund, it sounds like it could offer some value for budding internet marketers. I like that it has a $1 trial ( I would prefer if it was free ) but the ongoing cost of $50 a month does seem a bit expensive, I am not really sure that the value is there, to be honest. 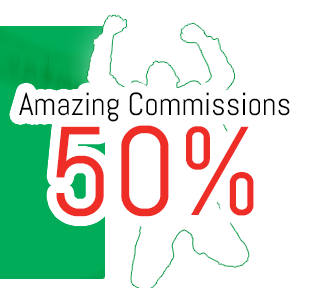 I do like the 50% affiliate commissions, though. Personally, I think you would be better off with your recommendation of Wealthy Affiliate. I believed that The Conversion Pros’s Capture Page Creator and Autoresponder are the most valuable among all. It would be great if we could choose the tools that we want to subscribe at a fraction of the $50 monthly fee. 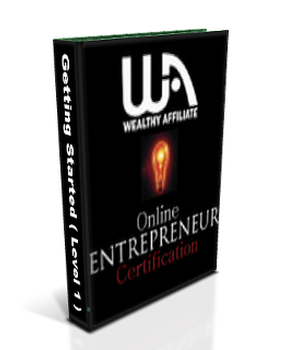 Wealthy Affiliate’s Online Entrepreneur Certification Training is second to none. If you are looking for Affiliate Marketing Training on how to make money Online, feel free to sign up for the level 1 free course. David Dubbs ? LOL … scam artist with ran with Chris Campbell. There are a lot of offers out there that are much better IMO. The tools are very ordinary and most marketers already own them in one form or another. It sounds pretty good at first, but when you break it down like you have, there’s not really much there. If I could give some advice to newbies just getting started, I would tell them to join Wealthy Affiliate and don’t look back! Yes, indeed. The tools are ordinary and some are rather not useful too. Thank you for recommending newbies to join Wealthy Affiliate and I am sure they will gain much more with the lessons and tools there! Interesting and informative. And I agree that the creator should offer less expensive packages, hand-picked by the subscriber. I am glad that you find this article interesting and informative. I see you are trying to promote Wealthy affiliate more than give honest reviews. I feel very sorry for you to see it that way. I honestly see that you have not read my post but just trying to place a backlink (removed) in the comment to your site. I need good leads to call, not a funnel system like Conversion Pro. So don’t want to pay 50 bucks, then also buy leads. Any recommendations? Wealthy Affiliate is not a funnel system and it does not provide you with leads. Wealthy Affiliate is a one-stop Online Marketing learning school where you can learn how to build your first website and monetise it. 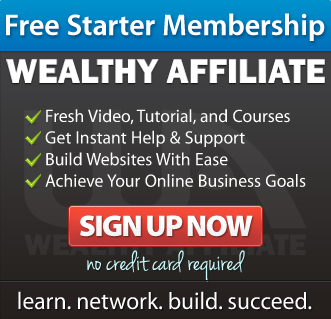 You can also buy your domain name and host your website at Wealthy Affiliate.There is also a community of Internet Marketers there where they share and learn from one another. All I ever see with “Wealthy Affiliate” is that all the members of WA do reviews of sites and usually rate sites low and then recommend WA. I joined WA at one time but just got tired of seeing all the WA review sites. As a WA try creating a blog or website other than just reviewing and putting down everything. I have seen many WA review sites that knock some of the most successful opportunities online. Also, if you want to keep your website and no longer be part of WA you can not. You will lose your website if you are not a member of WA. Wealthy Affiliate needs to stop doing primarily review sites. Then the reviews are just opinions of one person who most of the time did not even purchase the product to even know honestly what the product was all about. I am sure you will not like this and will probably not post. My review of your site is very low – get a life and create an honest online business and stop putting everything down just to promote WA. 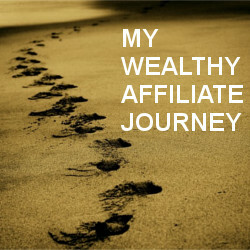 Thank you for sharing your views of Wealthy Affiliate with us here. I totally agree with you that there are tons of Wealthy Affiliate reviews out there! 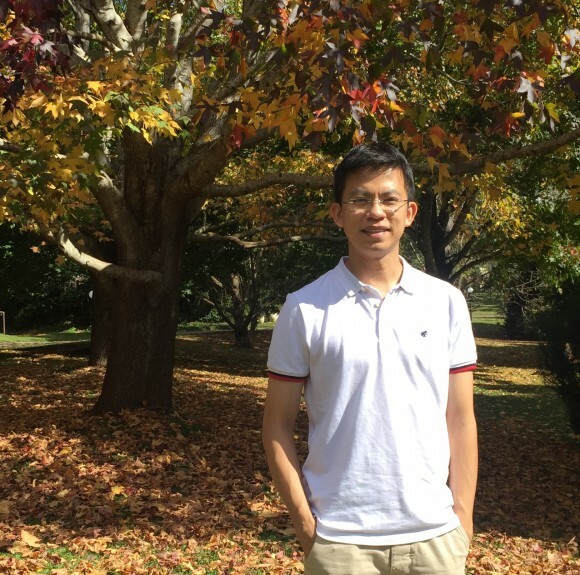 Since you were a WA member at one time, have you ever find out why yourself? Please take a look at this Wealthy Affiliate Bootcamp Review. I do not know which part of my review of The Conversion Pros Review makes you feel I am putting it down. I wondered have you even read my review. Or you are just venting your anger at any reviews that recommend WA? These were my personal views and takes when I wrote the review. And I did not force WA down anyone’s throat, I am merely showing an alternative. If you do not like it just leave it. Simple as that. On the other hand, from another perspective, there are many people at Wealthy Affiliate who are successful even they are not promoting WA. They have their own niche websites. One thing I am sure why they are successful is that they are positive, passionate and hard working. They do not have time to write negative comments on others websites.